Are you sitting down? 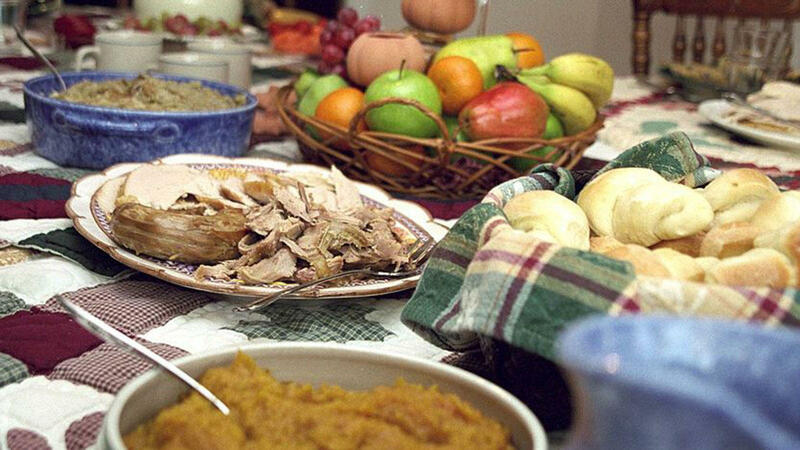 The Calorie Control Council has estimated that Americans consume nearly 4,500 calories on Thanksgiving Day each year. Approximately 3,000 will be on your dinner plate, while drinks, snacks and desserts will stuff you with the remaining 1,500. Natalie Allen, clinical instructor of dietetics in the biomedical sciences department at Missouri State University, gives us a few tips for identifying hidden high calorie items. So what if you are trying to lose weight or be mindful of your health? Allen has a few ideas on keeping your sanity and preventing you from gorging yourself at the treat-filled feast. If you are in charge of a dish or preparing the entire meal, there are ways to cut some calories through substitution and omission without losing the flavor. Allen also reminds us to remain in the spirit of gratitude and family and partake in the festivities.